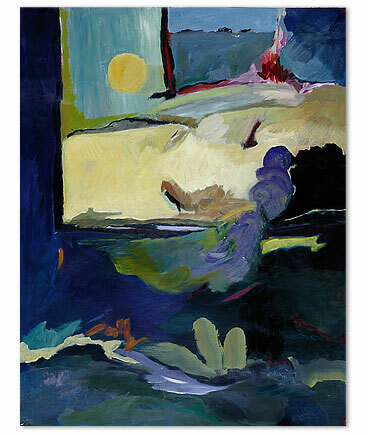 Artist Bonnie Boren’s paintings marry a facility for landscape with abstract expressionism. Windows attracted us by giving a marvelous feeling of looking out through many layers or planes of differing landscapes into a faraway horizon. This is a painting you can gaze into for a very long time and yet feel a newness each time you look. Click here to contact Bonnie. 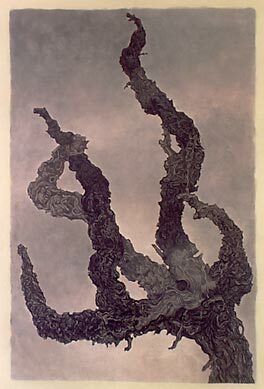 Years ago, I discovered an exquisite field of 40 year old grapevines somewhere near Calistoga, California. I don't think they are there anymore, but the day I stopped to wander the field and take pictures supplied me with painting subjects for years afterwards. This is my favorite painting from the series. The limited palette allowed me to focus on the gnarly textures of the branches and suggest the soft foggy conditions I found them in. 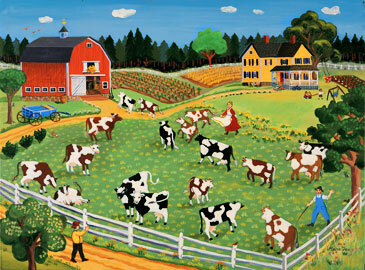 Marie Fox's folk art captures the quaint villages, rural scenery and historic New England towns of a long ago time. Her homespun, Americana style fills one with warmth, nostalgia and good humor of more innocent times. As Marie tells it: "Growing up by the Bluefish River and sailing our red catboat, I took in visual stimulation from the historic structures of Duxbury, Massachusetts and a landscape painted by the seasons. My imagination flowered in the colorful garden of stories recounted by my family. Anecdotes passed down from one Marie to another through three generations helped me inhabit the past as living history." 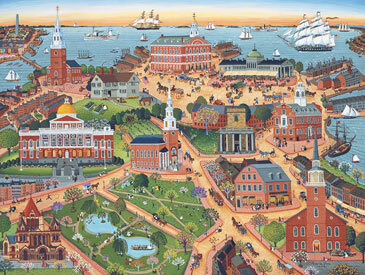 Historic Boston print imagines a journey along the famous Freedom Trail around 1900. Artwork size 14" x 18", printed on museum quality archival paper with fade-resistant soy-based inks. This and many other of her fine art prints can be purchased at Marie Fox's Folk Art online gallery. 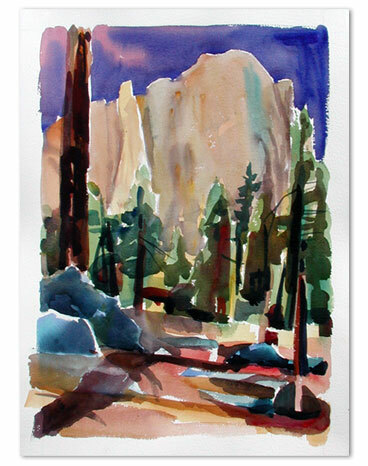 One of Bill's painted on the spot Yosemite watercolors. Bill travels to Yosemite during different seasons to capture the beauty and majesty of the Yosemite landscape. Bill's art is currently represented by Bodega Landmark Studio. 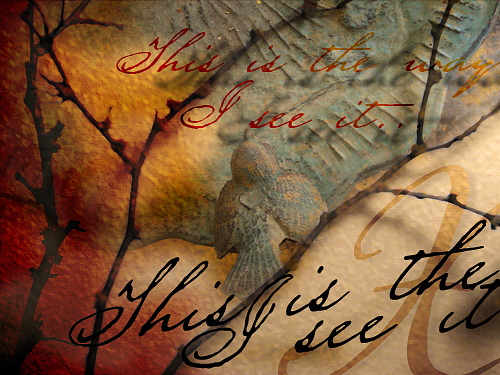 Visit Bill Shelley’s web site at www.bshelley.com to see more of his works. Sutra Ray's macro photography captures the ineffable beauty of a hidden world often invisible to the naked eye. Her flowers are at times abstract, iconic and timeless. Shown: Ballerina Begonias. 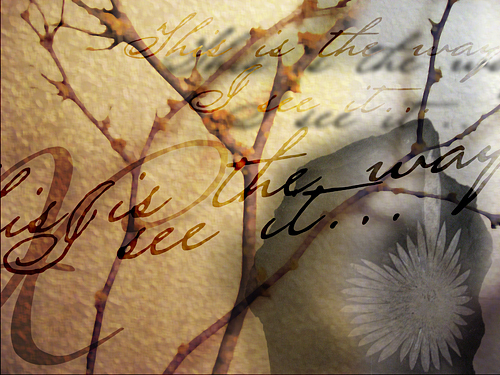 Visit Sutra's web site at www.allheartenterprises.com to see more of her work. 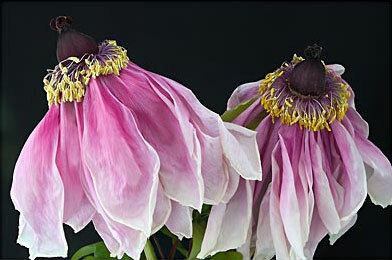 Her photographs are available in multiple print sizes as well as greeting cards. They can be purchsed at her online store. 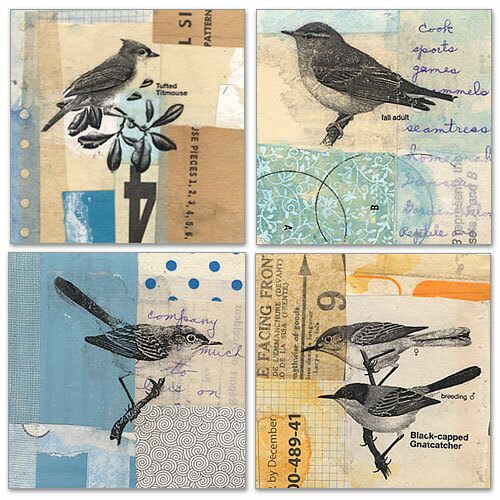 Mixed media collage artist Michelle Caplan flexes plenty of art muscle by setting a goal of creating one original collage each day. 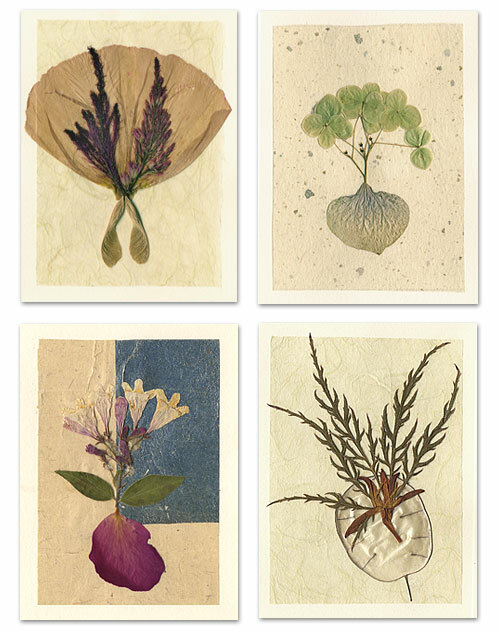 You can see her daily work at her Collage Lab web site where we found these series of supple and elegant images. A fellow designer, Hannah was also inspired by one of Michelle's pieces to create an art pendant. Be sure to check out Michelle's web site at www.michellecaplan.com. Jazz Lines Collection by Bonnie Boren. Artist Bonnie Boren departs from her usual abstract paintings with the collection of drawings entitled Jazz Lines. For over 30 years, Bonnie has been drawing jazz musicians in New York, San Francisco and Oakland at jazz festivals in the parks, small clubs and large venues. The drawings show off Bonnie's facility for line and an ability to improvise in the best jazz tradition. Visit Bonnie’s Jazz Lines Collection web site at www.jazzlines.net to see more of her works.